About a year and a half ago, I signed myself up for a Pinterest account! I was so excited to have discovered this site - a site where I could keep track of all the recipes that I found online! No more printing out recipes and then storing the papers in a binder...nope all of the things I wanted to make would be nice and organized on this neat online pin-board! 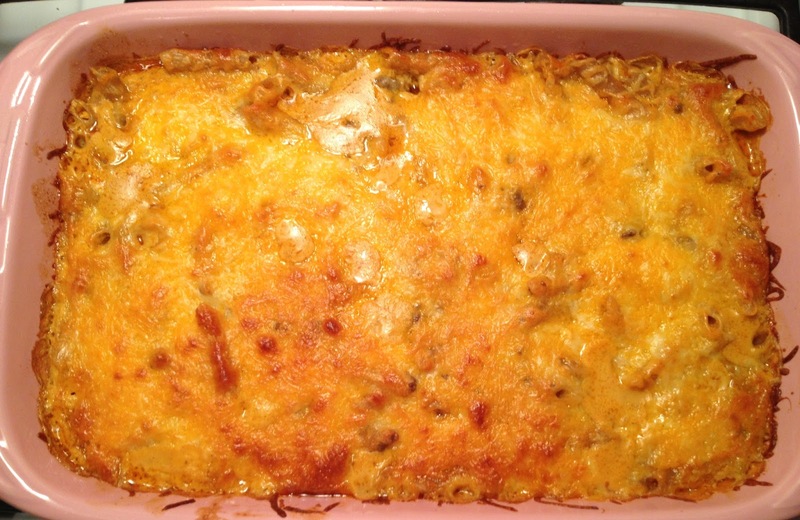 The very first recipe I ever pinned and tried to make was for Taco Pasta Bake (it is a pretty popular pin). I was super excited to make it, and I was even more excited to taste that very first bite! But I was disappointed, and John didn't love it either. However, I knew that the idea was good...so like usual I changed around a few things and came up with an AMAZING recipe that was much closer to what I had imagined that first bite to be! 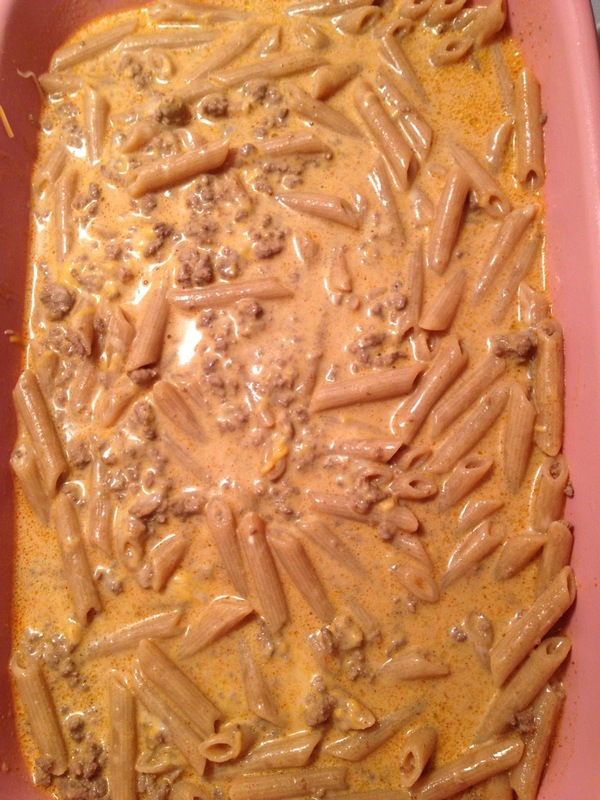 When you first pour your pasta/meat/cream cheese mixture into the pan it will look soupy like this but do not panic! That extra liquid will help the pasta to finish cooking and make your casserole delightfully rich and creamy! Your casserole will look like this when done! Do you see all of that delicious cheese on top?!? 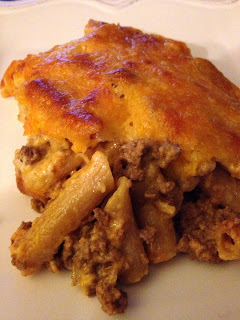 John and I enjoyed our casserole on the couch while watching that days episode of General Hospital (don't judge)! I love love love my version of Taco Pasta Bake, and I know that you will too! It is perfect for the cool fall and winter weather! Plus this makes a lot! It will feed a large family or a small family with leftovers! John watches GH?! And doesn't complain?!?! What an awesome hubby!! Erin - yes, John is an amazing hubby! He watches GH with me every single night (he is totally addicted to it)! He also watches The Bachelor/Bachelorette and Real Housewives! But I also watch a lot of football with him!! !